Mulund is located on the North-Eastern tip of Mumbai and marks the end of the city as well; it’s nestled alongside the foothills of Sanjay Gandhi National Park and is well connected by the Mumbai suburban rail and road network. It is the earliest planned neighborhood of the city and houses a large number of industrial facilities and malls to cater to the large crowd of residents and industrial employees who frequent this area on a daily basis, lots of food outlets have opened up. Mulund is a very peaceful area in contrast to the other parts of the city and it is common to find people enjoying food in this pleasant atmosphere. During the daytime, this area is bustling with energy and it is common to find all the food outlets full as compared to night time. 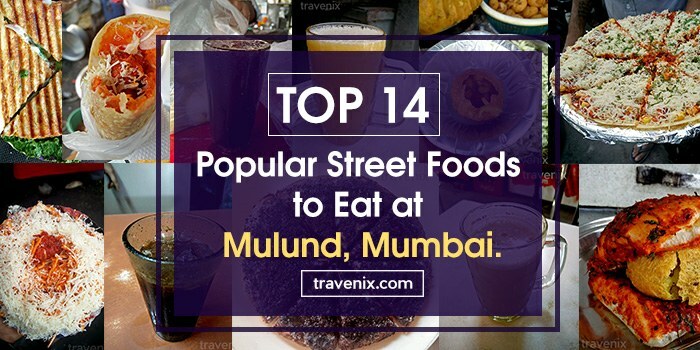 To help you make the best out of your trip to this area, we have compiled a list of the best places to eat in Mulund. 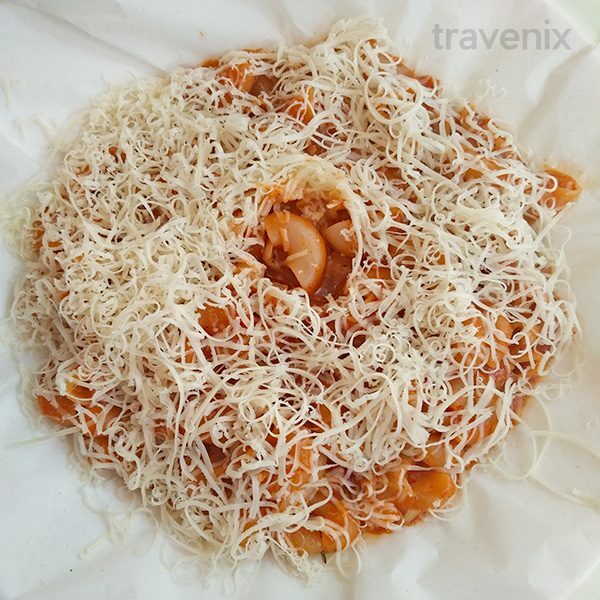 This macaroni is made in red sauce which has a distinct taste of tomatoes and is topped with oregano and chili flakes which enhance the overall flavor of the dish. The macaroni is perfectly cooked and is soft to bite along with the soft and juicy capsicums. This bhel is a fusion of Indian and Chinese fast food and does live up to your expectations; the serving size is worth the money spent and the cheese covering the bhel is just too tempting. The bhel is fresh and has Manchurian balls dipped in schezwan sauce added to it along with sliced cabbage to give it the Chinese twist. This new combination is definitely worth a try here. Thums Up has been our favorite since decades now and the masala added to it here just makes it all the more better. 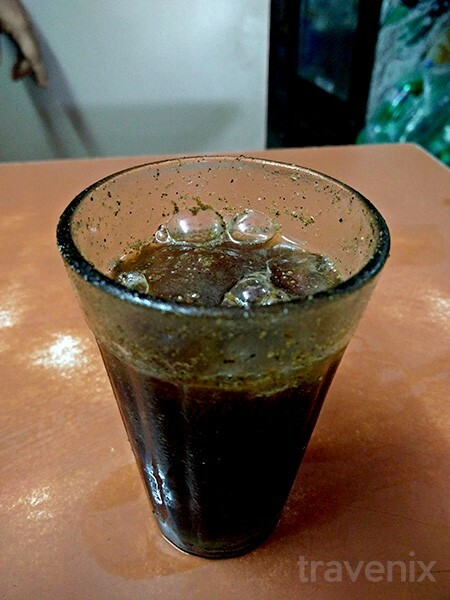 The combination gives out a taste similar to that of jeera soda but with a twist; the masala makes it slightly spicy and ‘chatpata’ and in the process makes it a very interesting drink. 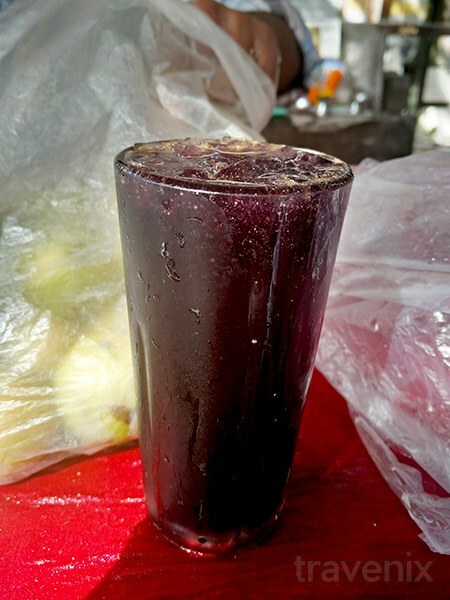 This drink has been adored by thousands in the area since more than 20 years and is sure to make you a fan as well. 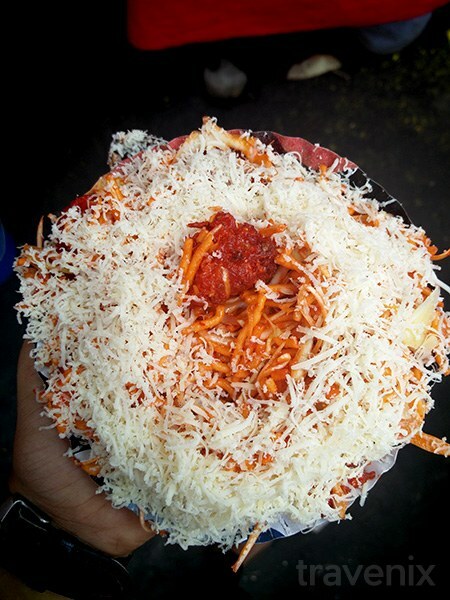 This famous stall has been serving customers since about two decades and is sure to make you its fan as well. 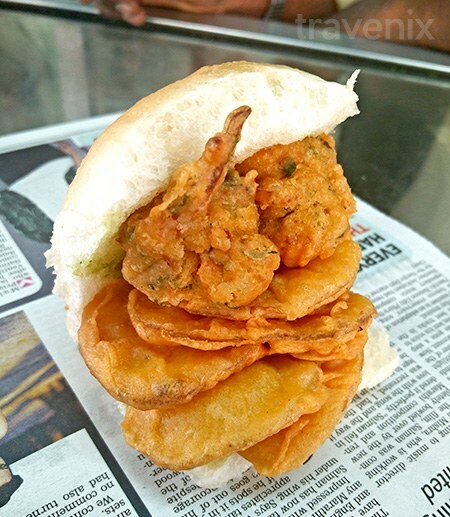 The masala of the pav has a taste similar to pav bhaji masala but with a salty twist; the vada size is big enough and is cooked very well to make your experience a pleasant one. 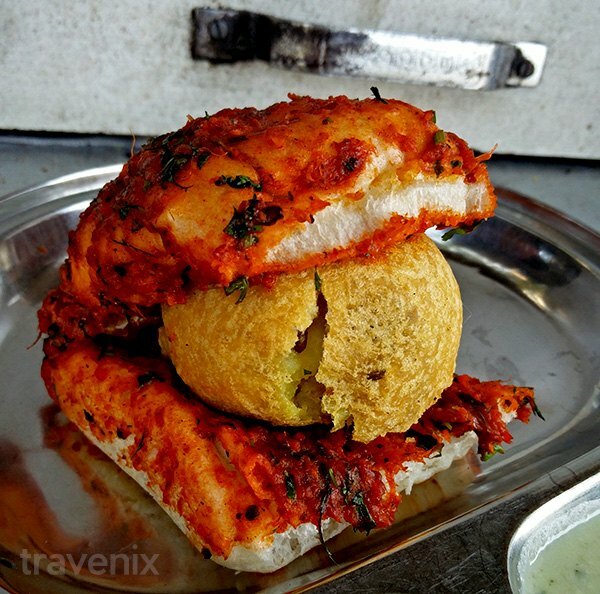 This is one of the best vada pavs out there, so go and give it a shot! Where: Opp. the Gate of Priyadarshini. This dark chocolate ice cream has pieces of frozen caramel and chocolate shavings, which give it the crunchiness factor; and the ice cream is smooth and looks very tempting. 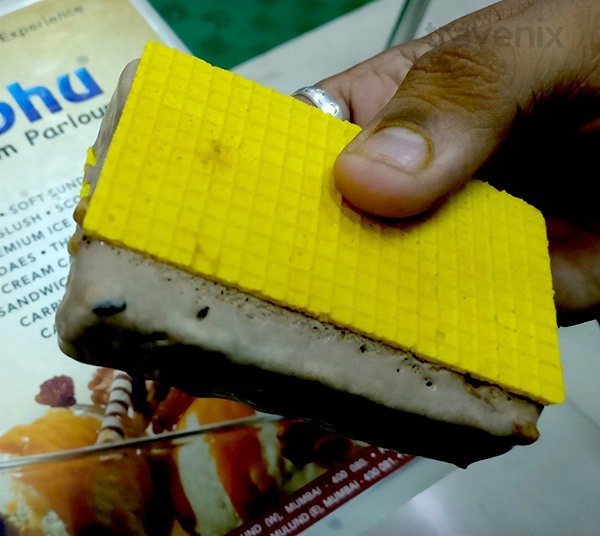 The wafers absorb the flavors of the ice cream very well and complement the overall dish. After all, who doesn’t love chocolate? Where: Mg road, Opp shiv Bharti, Mulund West near the station. 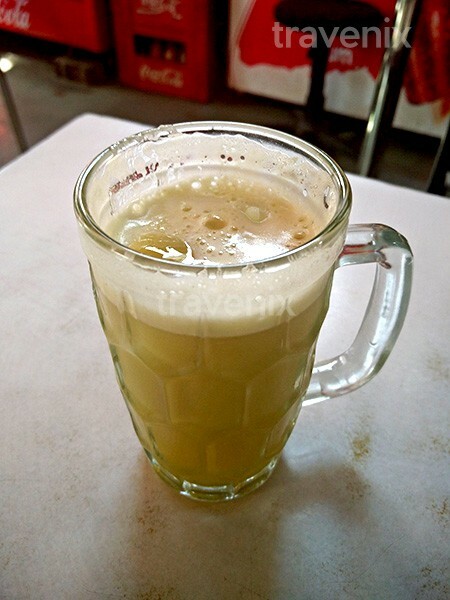 The sugarcanes here are fresh and juicy; and so the resulting sugarcane juice is adequately sweet. Lemon and ginger juice is added to it to give it a tangy twist that is delightful. 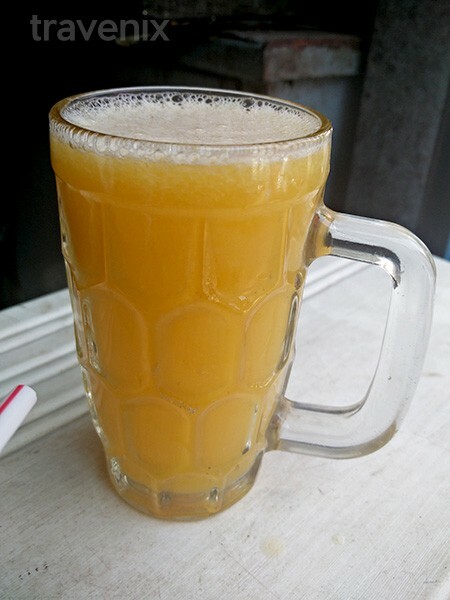 This juice is very refreshing and cooling at the same time; a perfect getaway from the hot summer sun. 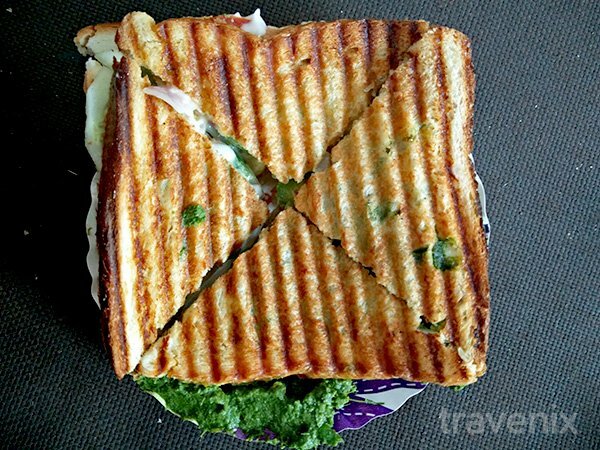 This toasted sandwich has vegetables like capsicums, onions, tomatoes and potatoes making up the filling, and coriander chutney, mayonnaise and butter are added to the filling before toasting it. The spicy chutney and mayonnaise give it a mix of flavors that is pleasant to consume. The sandwich is accompanied by green chutney dip, which is slightly sour and goes very well with the sandwich. The puris here are round and fresh; the ragda is hot and tasty and similar to the typical one we find at every other Pani Puri stall. The tamarind chutney is sweet and the pudina water has a prominent taste of coriander; the combination of all the ingredients gives you the perfect feeling of having a pani puri. 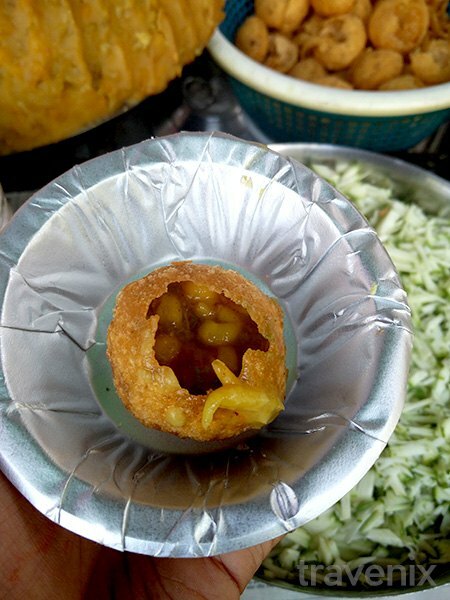 The sukha puri given at the end is delicious as well and just makes you want one more! This Mumbai meets Beijing dish is a delight and definitely worth a shot. 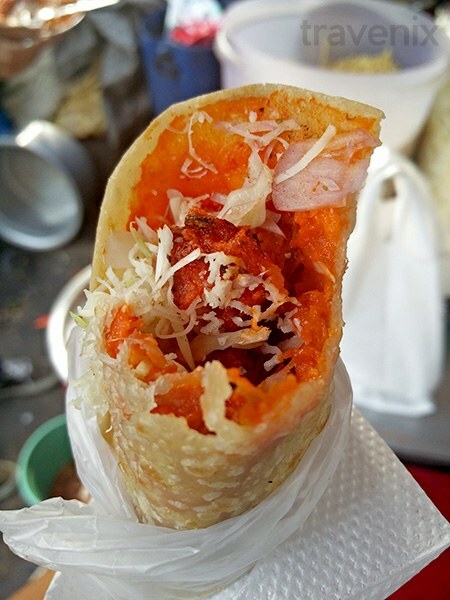 The chapatti is soft and thick, and the Manchurian balls used as filling are crisp on the outside and soft on the inside. The filling also includes cabbages, onions, potatoes, which are mixed with schezwan sauce to give you a nice, spicy feeling. The grated cheese added to the filling is the cherry on the icing. This interesting name is that of a juice which is a mix of sweet lemon and pineapple juices. The sweetness of the sweet lemon and the sour pineapple give you a mix of both the tastes and excites your taste buds. The flavors are well balanced and this manages to make you fall in love with the combination. The pav is well cooked and served hot, gives off the bitter taste of the methi bhaji and the potato slices do well to neutralize that taste. The potato slices are cooked in gram flour batter and the methi bhaji is fresh and juicy; the product is definitely worth its price tag. The pav is served with coriander chutney which has a hint of tamarind chutney as well and is slightly spicy; it adds to the overall experience when had with the pav. Where: SL RRT Road Corner, in front of the BMC market. This sweet and sour soda has masala added to it to make it ‘chatpata’, and some lemon juice is added to it to give you a sour punch as well. This is the standard kala khatta soda that you’ll have, but the masala is what gives it a fun twist and makes you want another glass. The name of this dish is sure to intrigue you and get you to try it, and is definitely worth a shot. The dosa is thin and crisp; topped with spring onions, schezwan sauce and generous serving of cheese, which makes it delightful. The dosa is cooked in Amul butter and encompasses its flavors very well, which makes the experience lovely. The concept of the dosa-pizza fusion is an innovative one. 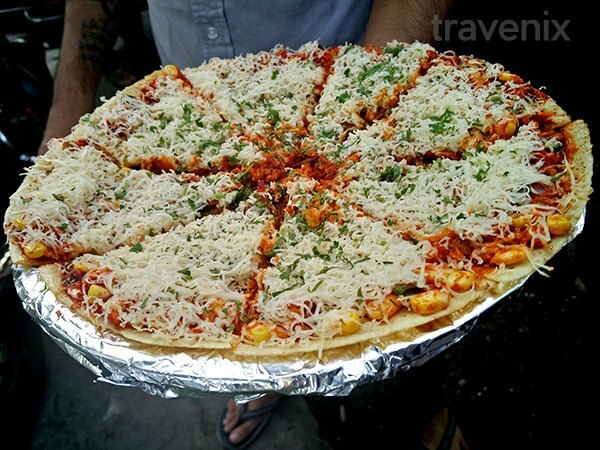 It combines the looks of a pizza with the taste of a dosa, and delivers the best of both worlds to you. 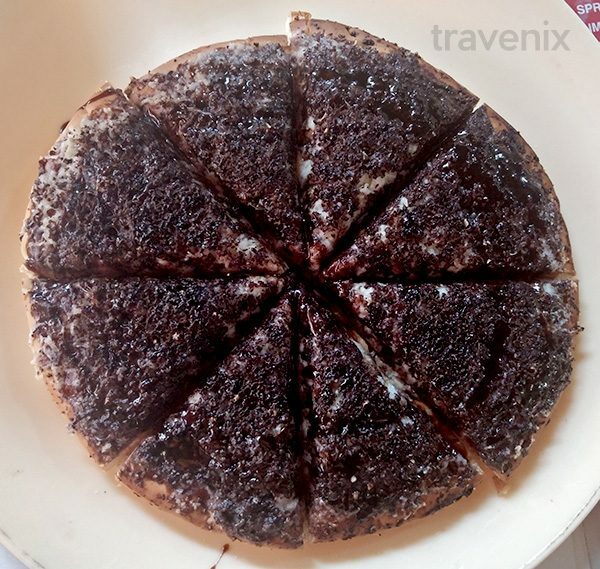 Now this is a VERY interesting combination- chocolate and pizza, two things that we all love the most. The scent is enough to make your mouth water instantly; the pizza is topped generously with cheese and Nutella to satisfy all your cravings. The dish is served hot and the soft pizza base is a delight to consume with Nutella and cheese. You just can’t miss this dish! If you have visited Mulund before and tried some of the delectable dishes that have been listed above, do let us know your experience. If you have come across some dish there that deserves to be in the list, please comment below to let your fellow readers know about it. If you do end up visiting any of the above mentioned places (which we are pretty sure you will), then do let us know about your experience in the comments below! Thank you! We are happy that you had an amazing experience with the food 🙂 Do check out the other areas to discover a lot more amazing food! Your homework for mulund is thoroughly incomplete, trust me. Which places are your favourite in Mulund? 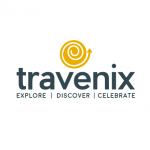 We’d love to hear your recommendations and try them too. 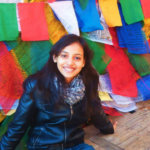 I am new in town. Couldn’t find any of them. 🙁 Can you please give me google map links. Welcome to Mumbai! A lot of great street food awaits you here. While some of the street food stalls are really popular among the locals, they don’t really have a proper location that you can pin on Google Maps. I think your best bet would be to go to the streets mentioned in the address in the articles and ask a few locals. You should add a place here in Mulund west called Cafe Bambai. Cafe Bambai servers one of the best veg burgers in Mumbai.